The Creature from the Black Lagoon Ultimate Guide evokes the brochure you might have bought at the cinema in 1954. LOW SHIPPING RATES FOR ORDERS TO THE UNITED STATES, UK, CANADA AND EUROPE! We’re proud to present our Creature from the Black Lagoon magazine in the form of our Ultimate Guide, which explores the making of this sci-fi horror classic. Each of the many articles in its 36 pages is accompanied by beautifully-reproduced stills, posters and lobby cards, taking you back to the Amazon in style. 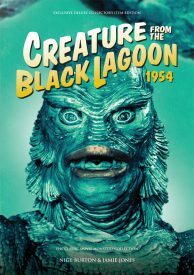 Cast and crew biographies give depth and insight to the people who made Creature from the Black Lagoon such a key reference point in the history of horror movies – this is the perfect item for any fan of the Creature. Arrived today. BEAUTIFUL addition to the Ultimate Guides! Keep it up Nige! Another excellent job, well done. A lot of the photos are, of course, very familiar but the presentation is very sharp, much clearer than in the past. With the great coverage on MS Ankers/Denning, maybe it’s time to do a classic Scream Queens edition? Think it over guys, could be a hit. The best magazine ever about the “Creature from the Black Lagoon” film. I am a new collector and love this magazine! The photos are crisp, clean and beatuful! 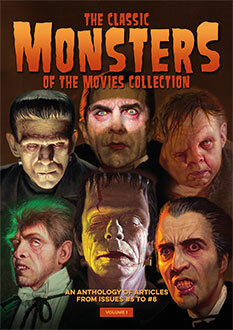 I also enjoy the information about each monster! Oh I live in Bangkok, maybe your only customer here? I pay more for shipping but my copies come to are perfect order!